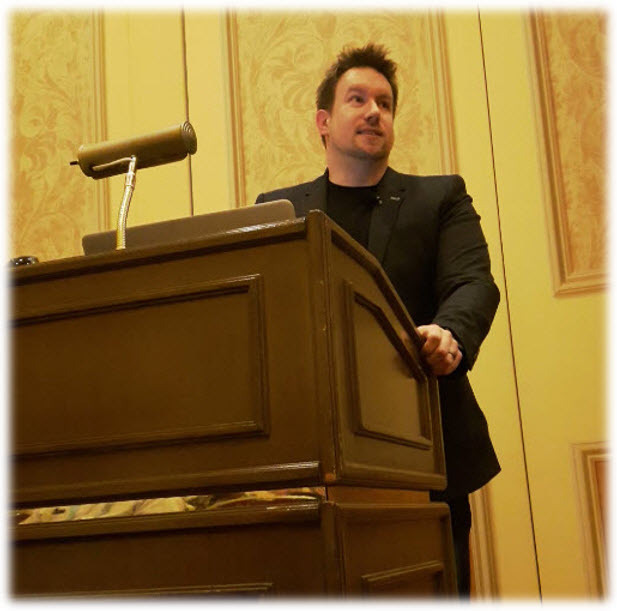 Autodesk University 2017 - Back from Las Vegas! Incredible time, this year's AU was probably the best one out of the five that I have attended (consecutively since 2013). Great weather, wonderful venue and amazing people, many of which I had the opportunity to chat and network with over this epic three day conference. My Class (first time speaking at AU) titled, "CAD Manager's Guide: Using Tool Palettes to Manage Standards and Configuration"
Lab Assistant for Paul Munford's "AutoCAD Tool Palettes Management Lab (Planning and Preparation, Not Perspiration)"
Robert Green's class on "Boosting Your Career with CAD Management Savings"
Frank Mayfield and Jisell Howe's class "The CAD Manager Wishlist - 2017 Edition"
First off, I want to thank all those that attended my class as part of their valuable time at AU this year! My class was "sold out" shortly after registration and even being the second last class of the last afternoon of the conference, I had almost a full house, thank you! So far I have received amazing feedback from the class surveys, as well as very valuable feedback from my mentor, Paul Munford and also from Matt Murphy (AU's Advisory Council - Mentorship Chair). My class went very well and I was very pleased with my presentation content and flow. Due to the topic having so much potential discussion content, it would have been better suited for a 90 minute session rather than limited to one hour. Prior to my class, I ensured that my handout covered all aspects of the class, including extensive code examples and additional sections on how to create and setup Tool Palettes. Additionally, I included multiple references to past AU classes as well as Autodesk Knowledge Network articles on coding, etc. I look forward to future opportunities to speak at Autodesk University again and will be submitting several class proposals (Sheet Set Manager as one example) for AU2018 next year! For those that have any questions pertaining to my class and any of the respective topics that were covered, feel free to contact me! I would love to compare notes and workflows on AutoCAD configuration or how you are using Tool Palettes within your companies). My email address is cadologist@gmail.com. 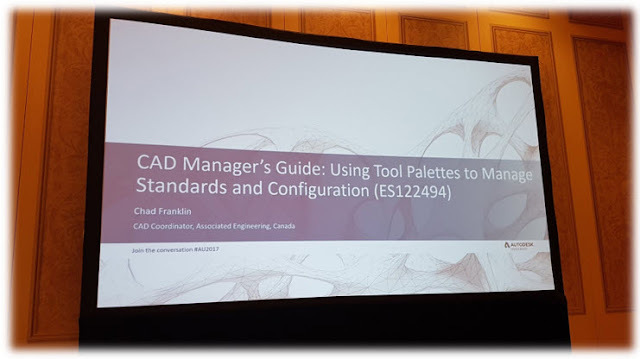 Once again thanks for all those that attended my class at this year's Autodesk University! My class handout and presentation deck can be downloaded from the following link. My class was also recorded and will be made available at a later date for viewing via the Autodesk University website.